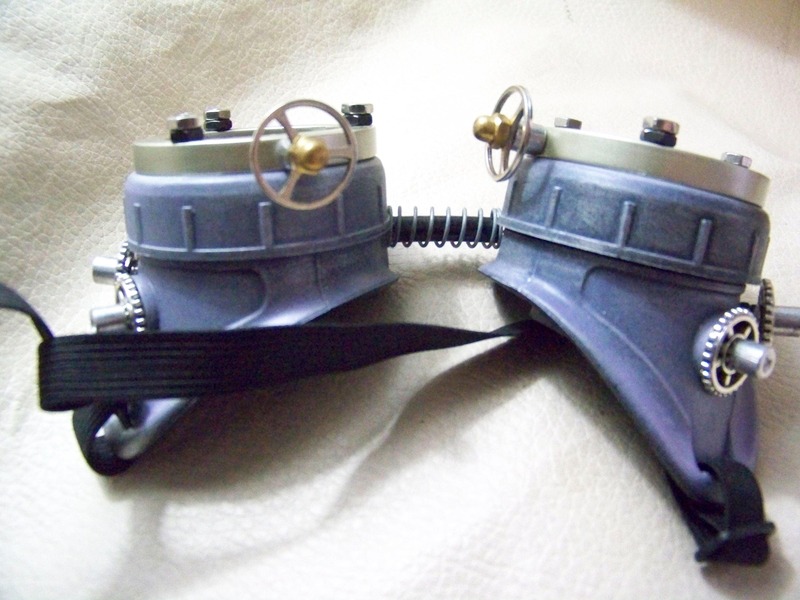 -They have a violet base coat with silverhighlights. 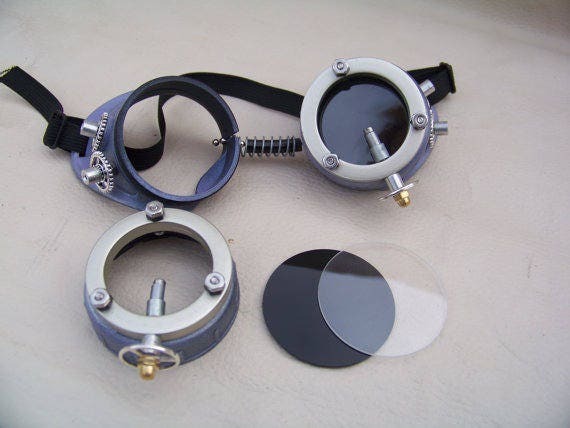 -Brushed nickel hued plastic extension rings are also attached to each eyepiece with stainless steel nuts. 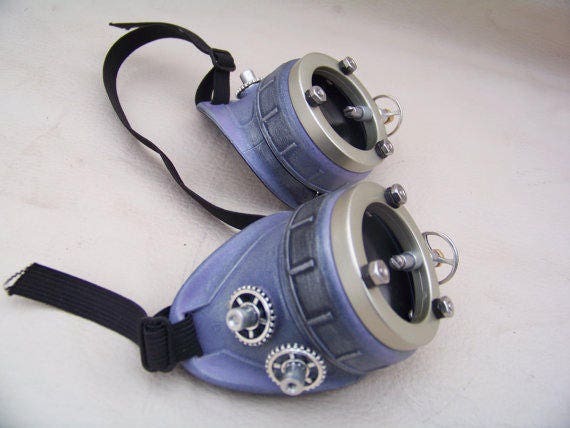 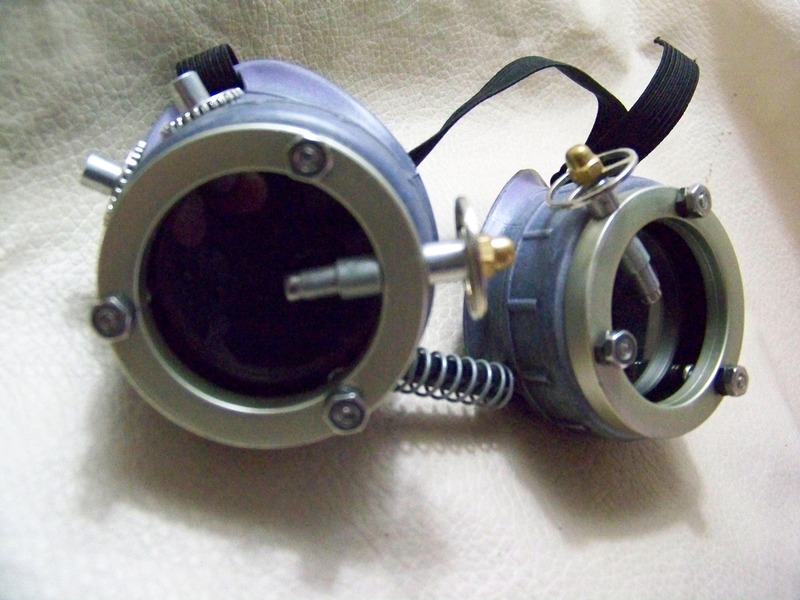 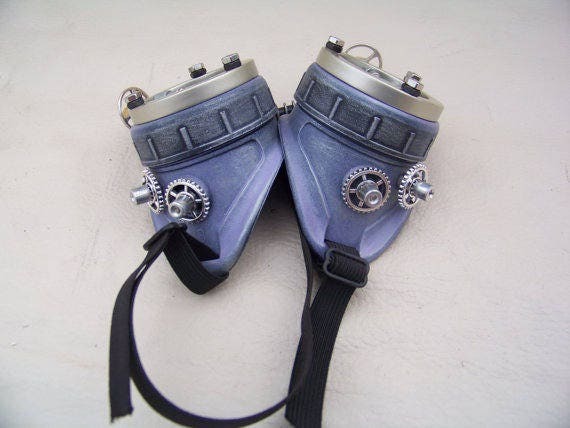 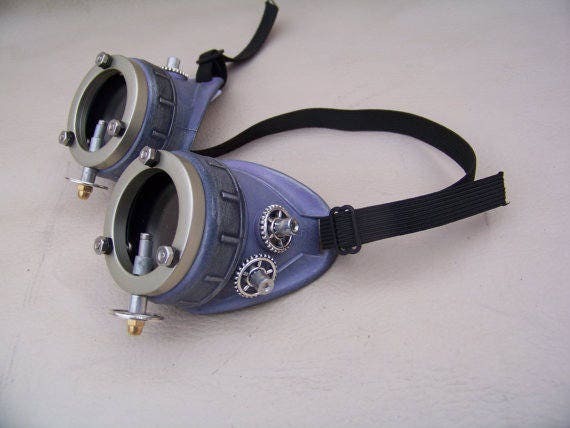 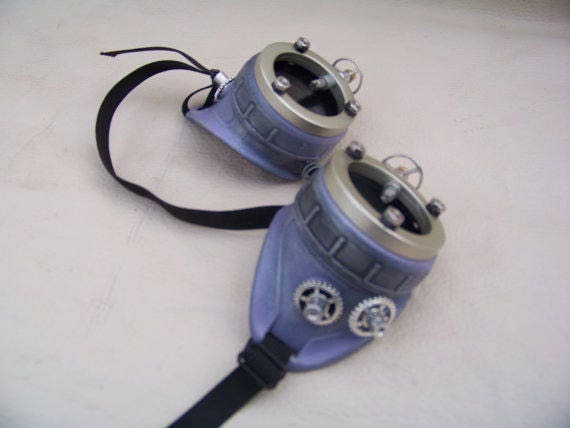 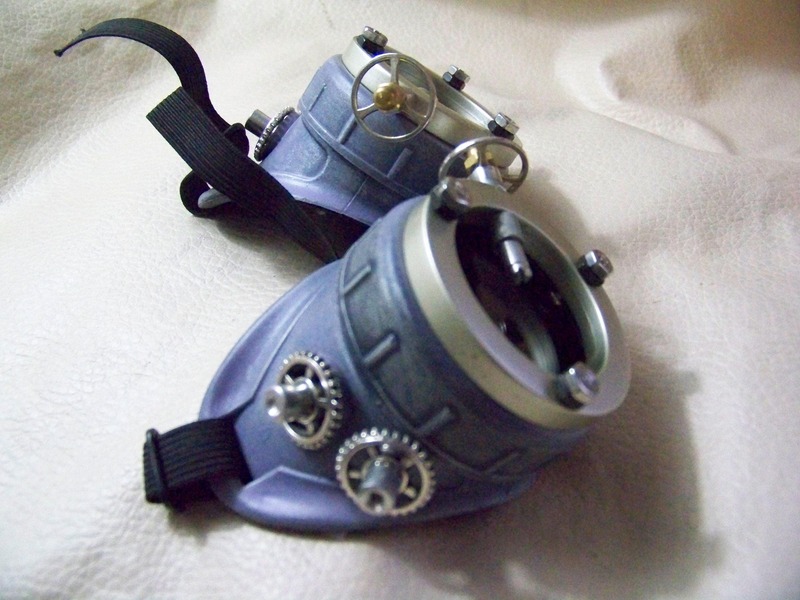 -Silver gears and stand-offs are mounted on the sides of each eye cup.